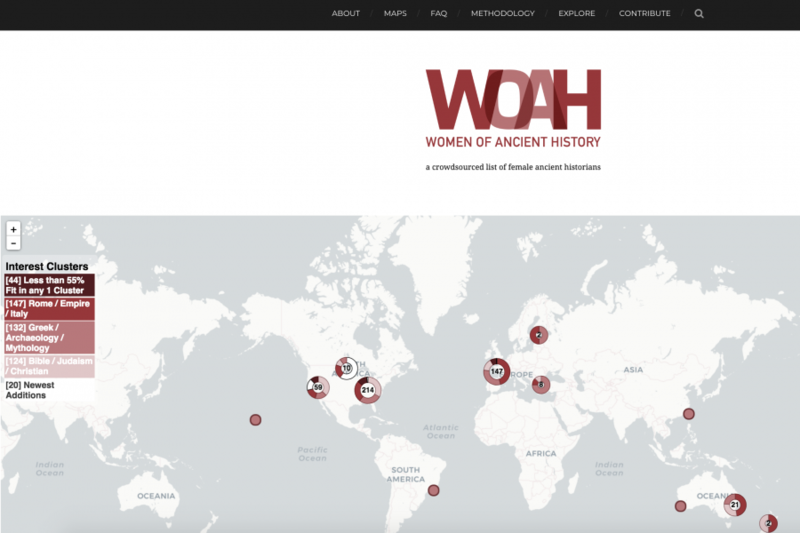 Women of Ancient History (WOAH) is a module within BAM that addresses women currently at work in the field of ancient history. Over 450 women are cited in the WOAH database and their institutions are mapped for each entry. The interactive map will soon be supplemented with network analysis. All data is open access and available for download in multiple file types. Please use WOAH to add women to your editorial board, to avoid manels, to ask women to speak at your institution. Or just read their publications! WOAH is meant to promote the visibility of academic women in the field through geographic and network visualizations [Click Here]. Participants arrive at CID or via car and are housed at the Sheraton Hotel-Iowa City. 9:45-10:30: Tom Elliott (Associate Director of Digital Programs, ISAW-NYU, Managing Editor and Founder of the Pleiades Project), What’s the Latest on the Pleiades Gazetteer of Ancient Places? 4:15-5:00: Sebastian Heath (Remote) (Clinical Assistant Professor of Ancient Studies, ISAW-NYU), Narrative Approaches to Counting and Mapping Roman Amphitheaters (Remote). The first test text for Terra Biblica is the Gospel of Luke. Our material on the Gospel of Luke makes use of a dataset on the literary character networks in that Gospel compiled by University of Iowa graduate student Cory Taylor for his dissertation. The pairs of characters you see represent what we call a co-appearance network: that is, these two characters are inferred to appear together in a given scene, based on the narrative progression of the text. This human entered information is a vast improvement on the alternative of automated network extraction based on Named Entity Recognition. Cory is compiling similar data for all the Gospels, and is also studying other kinds of literary character networks, including dialogue networks. As we read, use, and apply various articles, books, and volume chapters, we will post their bibliographic details to our Zotero group.! The Iowa Canon of Ancient Authors and Works, currently under development, will be based on a database of all known Greek and Latin authors and their writings, including fragmentary and lost texts, from the earliest period through the seventh century CE. It will provide extensive metadata for each work, including the date and place of its composition; its status as pseudepigraphic or disputed; its status as complete, fragmentary, or lost; its status as a translation or original Latin composition; its status as Christian or non-Christian; attested abbreviations for the work; a genre designation based on the project’s genre typology; and cross references to other canonical ids (such as the Perseus Catalog, digilibLT, and the Packard Latin Canon). A beta version, to be released in Fall 2019, will focus on the Latin corpus, and will provide faceted search capabilities for selecting a sub-corpus; and basic text analysis features, such as word clouds, derived from texts available under a CC BY-NC-SA license.